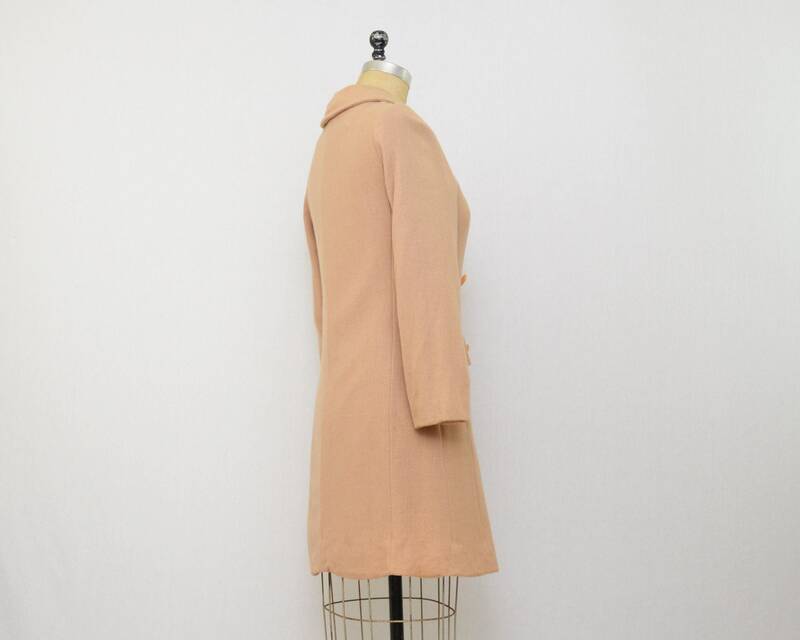 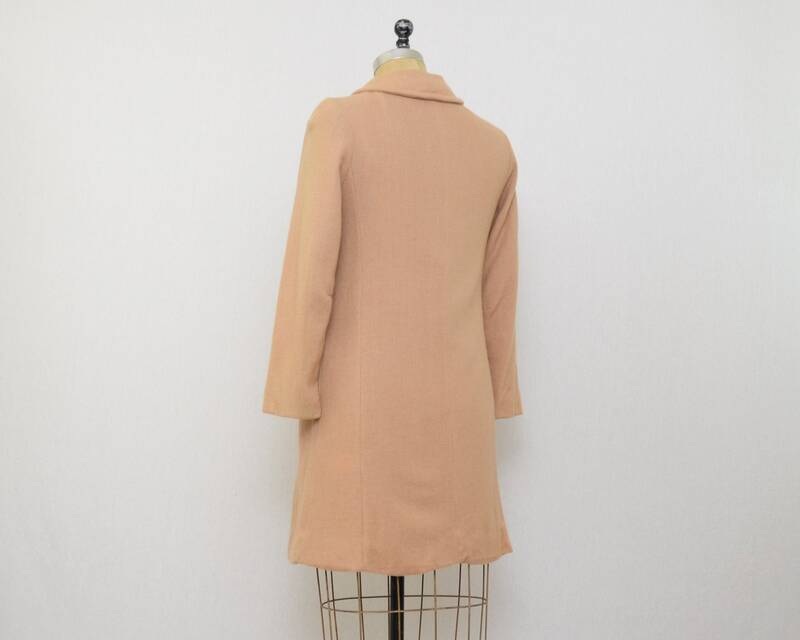 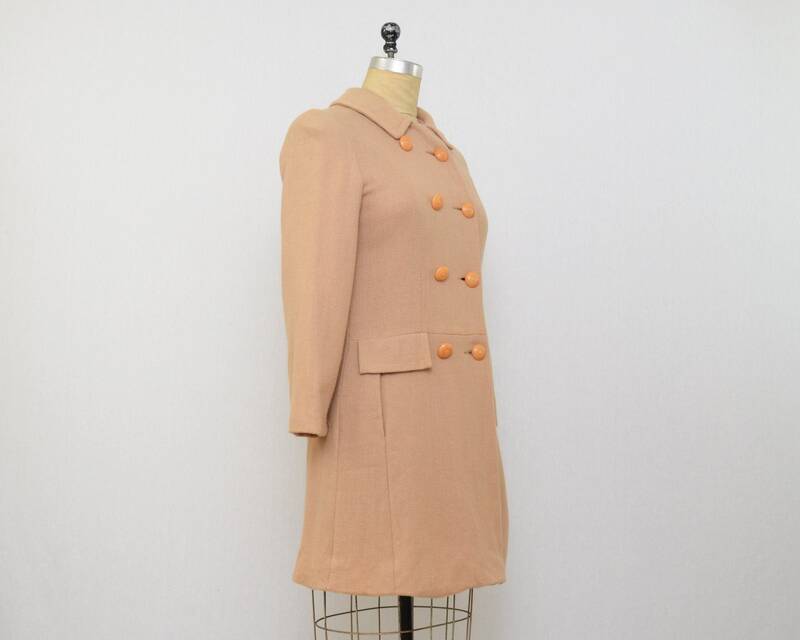 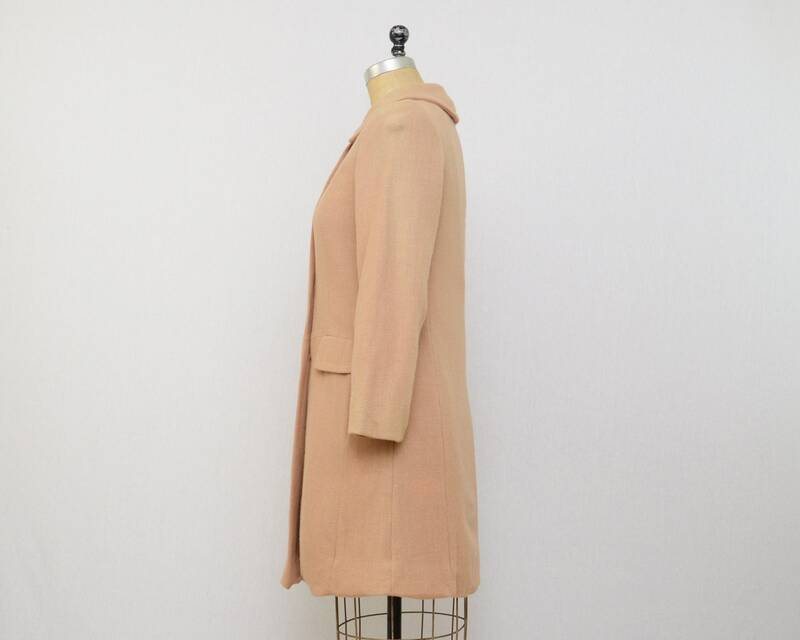 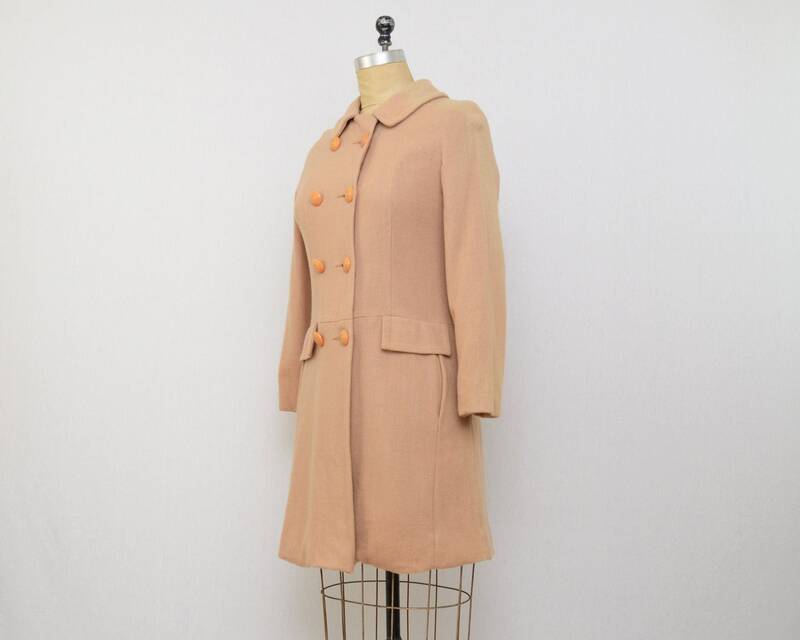 A classic light tan double breasted coat with a union label from the 1960s. 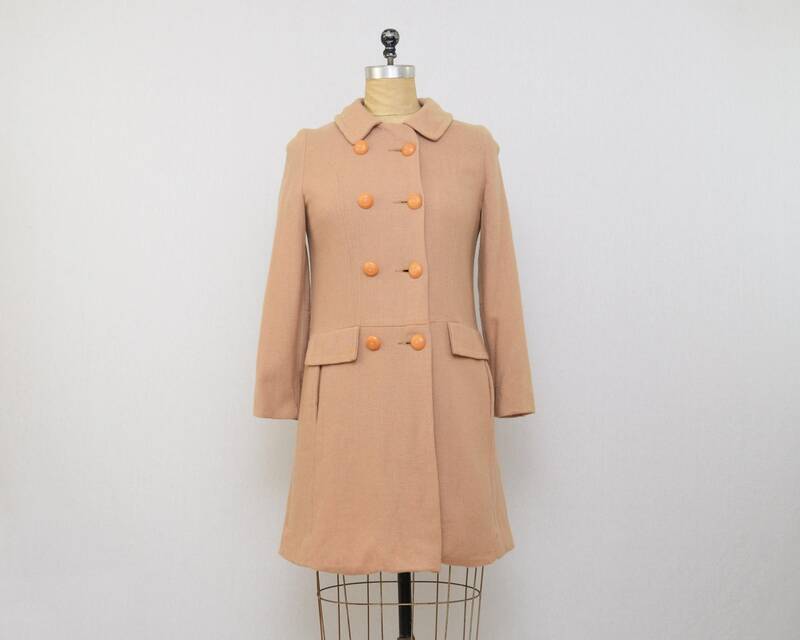 Buttons are plastic. 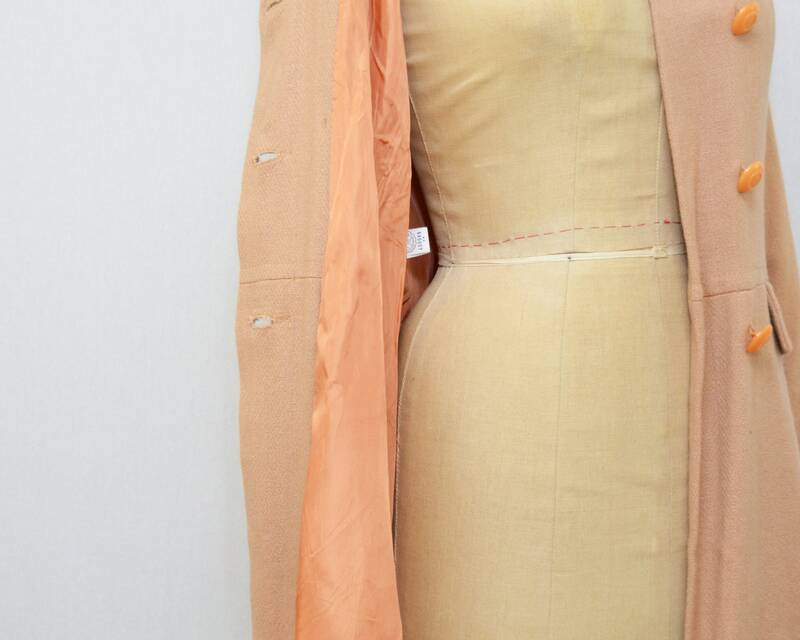 No noted flaws.